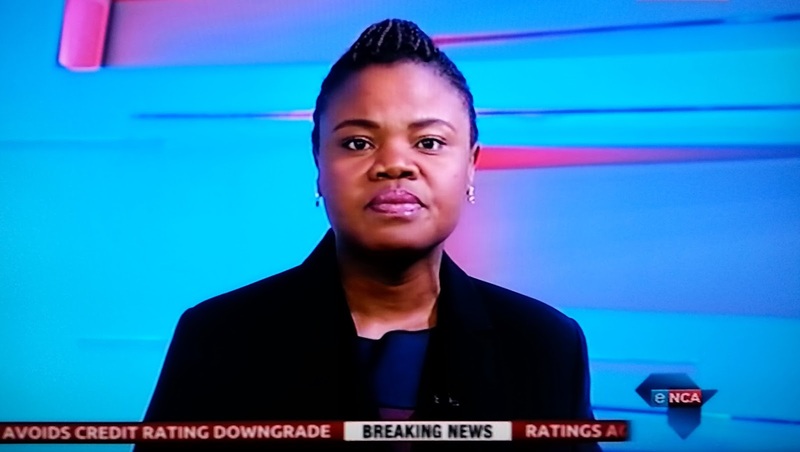 TV with Thinus: DOEK DRAMA: eNCA news director Mapi Nhlangu says discussions has started with staff over on-air doek ban; working towards showing 'progressive values'. DOEK DRAMA: eNCA news director Mapi Nhlangu says discussions has started with staff over on-air doek ban; working towards showing 'progressive values'. eNCA (DStv 403) has not covered its own "doek" wearing ban scandal as a story with any on-air report last week, opting to rather broadcast a recorded statement read out by eNCA news director Mapi Nhlangu. eNCA yet again became the news instead of reporting it this year when reporter Nontobeko Sibisi lashed out at her employer in a letter, claiming her Africa Day story was canned because she wore a "doek" in it - a head scarf that's not allowed according to eNCA's on-air appearance code. eNCA, available on MultiChoice's DStv satellite pay-TV platform, said it has now started discussions with staff over the "doek" ban. "We at eNCA are committed to continuing the necessary work towards effecting positive change, not only inside our organisation, but as a broadcaster in the light of South African society. When mistakes are made, we will look to fix them." "The matter of our commitment to a fully democratic human rights centered order, especially inside the news industry, with its commitment to fairness and freedom of expression, lies in our ability to rise to this challenge." "The issue of the doek is merely a symptom of a larger call for change in contemporary South Africa. This is not an issue that will be resolved by quick technical intervention." "Consultative processes between employees and managers are underway dealing with this among many questions facing journalists and media professionals every day and we are working towards making sure South Africans see progressive values reflected in their broadcast news". On Sunday, Fikile Masiko, convenor for the Young Women's Desk of the ANC Women's League (ANCWL) said on eNCA's doek drama: "We want e.tv to know this is not something that is an oppression or unprofessional for us. This is our crown".